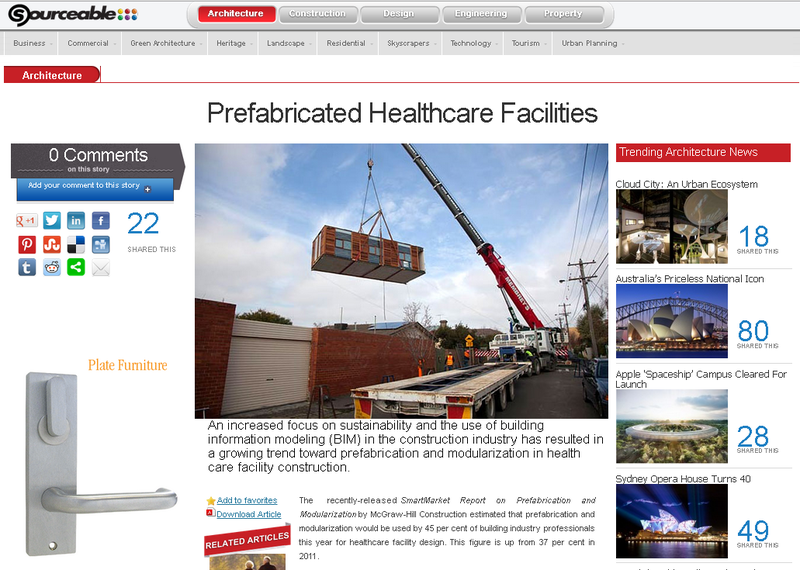 Yours truly attended the recent launch of the industry group prefabAUS, and was asked to contribute to the online article below. This entry was posted in Uncategorized on October 28, 2013 by rumbelom. BDO Sponsor Bentley launch their inaugural “Bentley Advantage” conference in Brisbane, Australia. For those of you for whom BIM still means more then Revit+Navisworks, get along to this event on November 14th. Bentley Systems is delighted to host the inaugural Bentley Advantage Conference, being held in Brisbane this November. As well as technology presentations, witness a keynote speech from Bhupinder Singh, Senior Vice President, Bentley Software, as he tracks the advancements our development teams are making across the Bentley product portfolio. This is sure to be a presentation not to be missed. Learn from our senior technology experts as they highlight new functionality in the Bentley toolsets that you use in your business. Meet with your peers in the industry and attend our Bentley Live Zone, where you can make specific requests for a product demonstration or perhaps simply ask about a problem or a challenge you currently face. Learn how you can leverage the latest technology to design and deliver more efficient and cost-effective plants. Learn how to gain true value from your engineering data by making it intelligent to improve operational safety and efficiency. Discover technology to assist with asset optimisation for mine sites, process plants, and rail infrastructure. Learn how to model with total freedom to rapidly create buildings of virtually any size, complexity, or form, limited only by your imagination. Discover how to seamlessly deliver high-performance designs and coordinate across disciplines with shared workflows for: architectural, structural, mechanical/plumbing, and electrical. Leverage the best available resources quickly, regardless of geography or team size, and enable integrated project delivery. Learn how new OpenRoads technology advances what’s possible in road design through the use of industry-leading innovations, including immersive modelling, design-time visualisation, and more. Meet with Bentley’s Rail team and discover why Bentley leads the world with integrated rail project solutions for track design, signalling, and overhead line design. Gain an understanding of why there are some places only Bentley can take you when it comes to BIM project delivery for road, rail, and bridge. Hear about the latest industry trends and technologies for Distribution Network Design and Substation modelling. Hear our latest product updates on intelligent electric design, raceway, conduit, and cable tray design and routing, and efficient engineering content management. Learn about Bentley’s NEW Asset Performance Management technologies for the power industry. Understand how Bentley’s geospatial technologies such as Bentley Map are improving 3D modelling workflows and analytics. Learn how Bentley addresses information mobility through its comprehensive point-cloud solution, using federated searches and data streaming. Learn why Bentley Pointools is the industry choice for point-cloud processing, animation, and clash detection. This entry was posted in BIM Collaboration, BIM Conference, BIM Software on October 27, 2013 by rumbelom. Go with the (work)flow. How to use point cloud data in your BIM. This webcast by IMAGINiT Australia’s Cheyne Bird provides an overview of the tools in the Autodesk Building Design Suite with a demonstration of workflow between Autodesk Recap, Autodesk Revit and Autodesk Navisworks, showing how you can make use of scans and point cloud data in your BIM workflow. This entry was posted in Uncategorized on October 24, 2013 by rumbelom. Just when you thought you’d answered your last #BIMsurvey .. there is more! However given this one is McGraw-Hill’s BIM Adoption and Value Survey for Australia and New Zealand, I guess its fairly important. So if you would like to be part of Autodesk Australia’s marketing efforts for the few years, feel free to undertake the survey below. However, you only have next 5 days! So be quick!! “The results of the survey will be used to produce a SmartMarket Report (SMR) on the Business Value of BIM in Australia and New Zealand, which will provide essential insights on how practitioners and participants are enjoying both quantitative and qualitative benefits from the use of BIM. The SMR will be released in early 2014 and will be widely distributed to the global design and construction industry. This entry was posted in Uncategorized on October 23, 2013 by rumbelom. ** Conflict of interest declaration. I have been been a paid consultant of SiteOps and have drunk (several) beers bought for me by Kevin Murphy. “We consistently hear from civil engineering firms “while 12D is great for design, it is not a feasibility tool. It just takes too long?” But developers still need quick response with layouts and earthworks, and ultimately they need to know cost. SITEOPS is the only application available that is purpose built for feasibility studies. The scheduled SITEOPS Introduction webcast on 23rd of Oct is a great overview. Please see details below. If Fortune Tellers prepared due diligence reports, we reckon Luna Park would be even busier. To learn more, join us for a SITEOPS Webcast on Wednesday 23rd of October at 2pm AEDT and see live demonstration. The release of land subdivision and parcelling features in SITEOPS opens up the power of ‘What If’ to developers and town planners. It is the only application available that allows you to validate the least expensive layout options in minutes. Set slope and gradient constraints; run grading and piping solver for first run of retaining walls and pipe network. SITEOPS ( www.siteops.com) is patented land development software provided by BLUERIDGE Analytics and supported in Australia and New Zealand by Civil Survey Solutions. This entry was posted in Uncategorized on October 17, 2013 by rumbelom. As most BIMmer’s would be aware, there has been much research done on technical aspects of Building Information Modeling and its ongoing adoption by the construction industry. Survey after survey after survey attests to this. However, the impact of BIM on the organizational structures of businesses within the industry is poorly understood. Recently I was asked to participate in a survey for a final year Construction Management thesis at my alma mater of the University of South Australia. The link to the survey is below. It is quick, well structured, confidential and anonymous, so please lend your support to this important piece of research. Note also that if you choose to take part, a copy of the findings of the study will be available upon request. This entry was posted in BIM Collaboration, BIM in Construction on October 9, 2013 by rumbelom. BIM Day Out sponsor Bentley Systems have released a series of apps for “MobileBIM” and better collaboration. Try Bentley’s Apps today for free using sample data. A single Bentley Passport fully enables all Bentley Apps. It entitles the user access to any Bentley server or service (such as ProjectWise and AssetWise) via Bentley Apps and a wide range of desktop applications. Get a Bentley Passport from your Bentley account representative or visit www.bentley.com/Passports to learn more. Also of interest to the BIM user community is information provided in the links below. This entry was posted in Uncategorized on October 2, 2013 by rumbelom.